With the amazing growth of Apple products over the last five years, it is no surprise that the surveillance equipment industry has seen increasing demand for security cameras and video surveillance software for Mac computers. 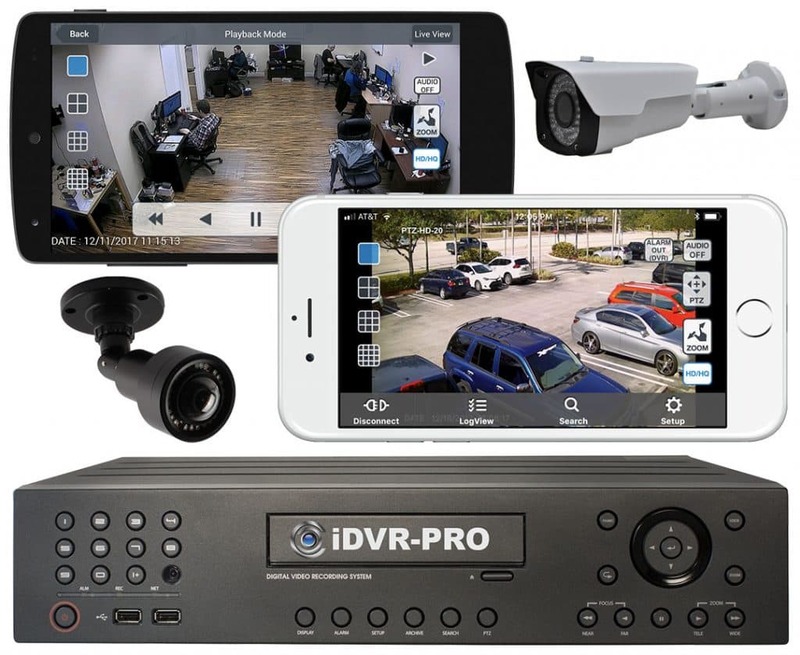 At CCTV Camera Pros, we recently tested to confirm that two of our favorite product lines include software that is up to date to work with the latest Mac operating system: our iDVR-PRO CCTV /HD security camera DVRs and Zavio IP security cameras. The iDVR-PRO DVRs can be used with analog CCTV cameras and 1080p HD over coax security cameras. These DVRs include a free Mac software application that lets users manage and connect to one or more of these DVRs from a Mac desktop or laptop PC. The Mac DVR software allows the user to view the live video in real time and also playback recorded video remotely over the Internet. The user interface is easy to use and very powerful. This is one of the best Mac DVR clients that we have seen. Watch this video to see the Mac camera viewer software included with iDVR-PRO DVRs. 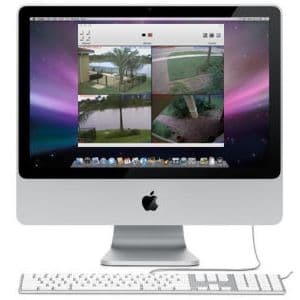 Here is a screenshot of the MAc software viewing four security cameras. If your goal is to setup an IP security camera and log in directly to it from the web browser of your Mac, Zavio IP cameras are an excellent choice. 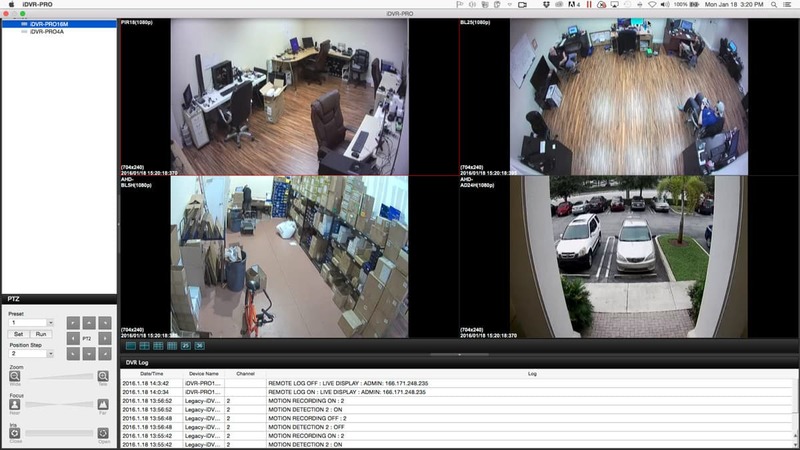 CCTV Camera Pros has tested and confirmed that Zavio cameras can be accessed from Safari, Firefox, and Chrome web browsers on a Mac computer using Lion or Snow Leopard operating systems. 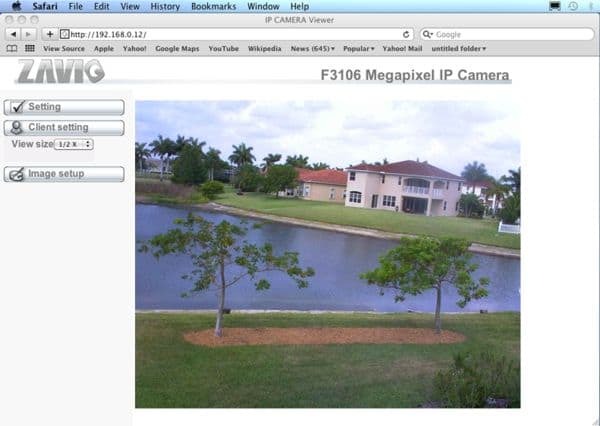 Please click on the below image to view additional screenshots and demo videos of Zavio IP cameras being access remotely over the Internet using Mac. CCTV Camera Pros is a direct supplier of security cameras and video surveillance systems for home, business and government applications. We are a US veteran owned business and are located in Boynton Beach, Florida. CCTV Camera Pros can assist in the design of surveillance systems for any size application. We specialize in assisting our customers not only in the selection of the best equipment for their needs but also in remote support and setup of the Internet access to their cameras. 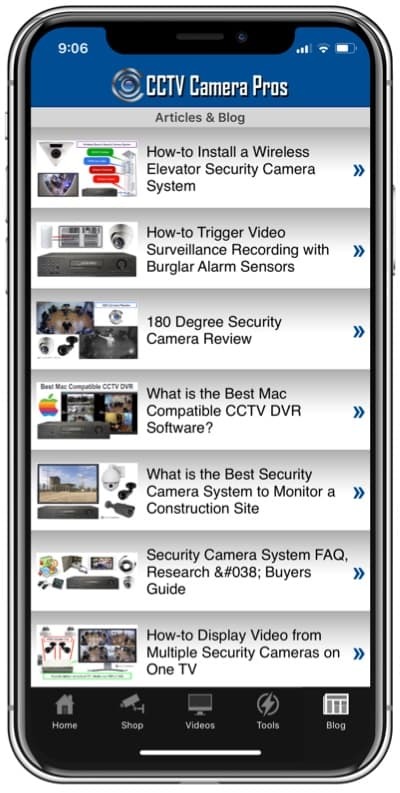 Please visit www.cctvcamerapros.com to learn more about us and the surveillance products that we supply. Thank you for your interest and for posting your comment. I highly recommend our iDVR-E4, iDVR-E8, and iDVR-E16 surveillance DVRs for Mac users (the ones that are featured in this blog post). For the cameras, I highly recommend our DPRO-9620VF dome cameras. I will email you more details.